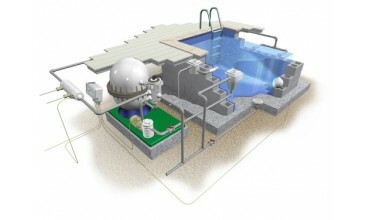 • So that you can use your pool for longer, it heats the waterin air temperatures of up to +5 ºC.• W.. COMPACT ELECTRIC HEAT INCOLOY FOR SWIMMING POOLSE X T E R N A L LY:• New linear configur..
Made of stainless steel AISI 316, equipped with pressure switch to detect lack of water. Comply with..
Water-water plate heat exchan-gers ar..
HAYWARD SumHeat Heat Pump for Pools, Top of the range , for optimum usage comfort El..